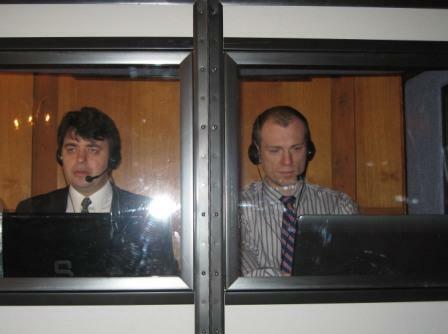 Ukraine-Europe offers simultaneous interpretation performed with the help of special equipment. For price calculation, please contact us here. Simultaneous interpretation is oral interpretation without pauses when the interpreter speaks simultaneously with the speaker with a delay of no more than several seconds. presentations which are being held in conference-halls or in lecture rooms. the prestige of the event is increased. the loss of information is higher.